The Oklahoman reports between 70,000 and 100,000 acres have burned across Woodward, Harper and Beaver Counties. 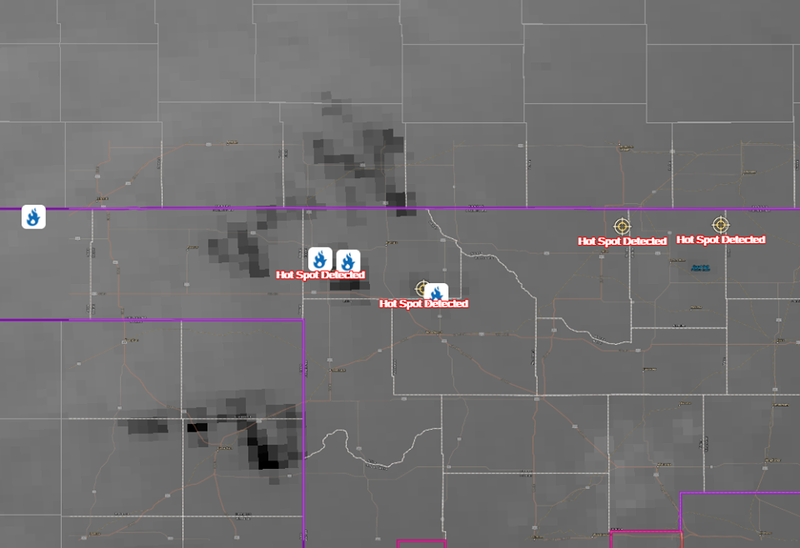 Fires have also spread in the neighboring states of Kansas, Texas and Colorado. As of 11:30 p.m. Monday night, all roads were open in Woodward County and all evacuation orders had expired, according to the Woodward County Department of Homeland Defense & Civil Security. However, emergency officials urged residents in evacuated areas not to return home last night. Another wildfire burned part of Payne and Logan Counties in north central Oklahoma on Monday. A Red Flag Warning continues today across Alfalfa, Blaine, Caddo, Craig, Creek, Delaware, Dewey, Ellis, Garfield, Grant, Harper, Kay, Kingfisher, Logan, Major, Noble, Nowata, Osage, Ottawa, Pawnee, Payne, Rogers, Tulsa, Washington, Woods, and Woodward Counties. The National Weather Service reports smoke from the northwestern Oklahoma fires will cause problems for people with respiratory problems, and urges those people to stay indoors.